WhatsApp is a household name now, and just about anyone with a smartphone will be able to explain why it’s the world’s most popular messaging service. It’s free (for most platforms), easy to use, and allows users to interact with anyone on the service anywhere in the world. The service has a huge following and has even been dubbed by many as the ‘next Facebook’. The stats are amazing and it seems every time you tune into tech news, WhatsApp seems to be breaking a new barrier. So far it has claimed to be sending over ten million messages per day establishing it as the world’s most used messaging service. It beats all records, including the sum total of messages it sends out in one month outnumbers all the messages iMessage ever managed. But there is a darker side to all the shininess of WhatsApp. There is no denying that since WhatsApp came into being it has been surrounded by controversy regarding both security as well as privacy. The most recent stint involving it has governments getting involved, which should be an indication of some major issues regarding WhatsApp’s own treatment of user data if nothing else. The investigations to be carried out are to see what WhatsApp has been doing with unauthorized user info that it has been allegedly collecting. Now of course, this means that your information may be up for grabs by any company wishing to purchase it- – making WhatsApp themselves really a frontage for WhatsApp spy service. Now if this wasn’t annoying enough, though admittedly for some it may not be, there is the significant number of incidences involving WhatsApp spying related issues. Anyone who has been using the app since last year can tell you that it doesn’t take a genius to hack into WhatsApp and gain access to anyone’s personal conversations. In 2012, a hacker released a video, that later went viral, demonstrating a simple technique to hack into user accounts and change status just by using a Windows tool. In other words, the threat of WhatsApp spy is very real. With hackers and malware professionals racing ahead of companies and platform giants when it comes to taking over the internet, WhatsApp is a strong target. Of course, anti-spy software can be relied on but at the end of the day one realizes that WhatsApp’s own security is flimsy at best. They have been prone to attacks since their advent and despite gaining millions of subscribers, have done nothing significant to tackle the problem. The security measures remain to be prioritized and taken seriously. The updates that were released to solve the vulnerabilities have been temporary looking and halfhearted at best. 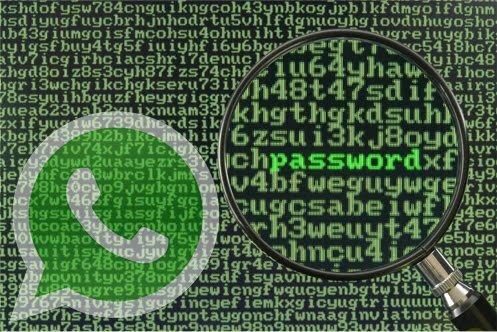 If you use WhatsApp, then this is a good time to look into other alternatives that are more secure. If you wish to remain a devout subscriber, as many are, then its best to start keeping an eye out for WhatsApp spy possibilities. About Author : Jessica is a writer for MobiStealth and loves to blog about all things security and privacy related, especially concerning smartphone technology like monitoring apps. She can be contacted @jcarol429.